South of Port Elgin is a sandy beach for those seeking more peace and quiet and less activity. Miles of sandy beach stretch out along Goble's Grove with not a fast food restaurant in sight. Shallow water, swing sets, white sand, and washroom facilities at Goble's only make this a relaxing beach for both adults, teens and children. No beach shelters on this part of the shore...make sunscreen, hats and a beach umbrella an essential part of your beach gear. 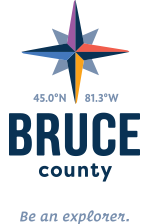 To reach Gobles Grove, travel south through Port Elgin to Concession 6 (the last set of traffic lights AND the road to the CAW Centre), turn west and follow the road straight to the water. Free parking in the small lot and along the road beside the beach dunes. TYPE OF BEACH: Goble's Grove: sandy and shallow. © The County of Bruce. All Rights Reserved.